“If a book is good enough, it will find a home.” I’ve heard that a lot in the publishing industry, especially from editors and agents. Stop by to see the whole piece. 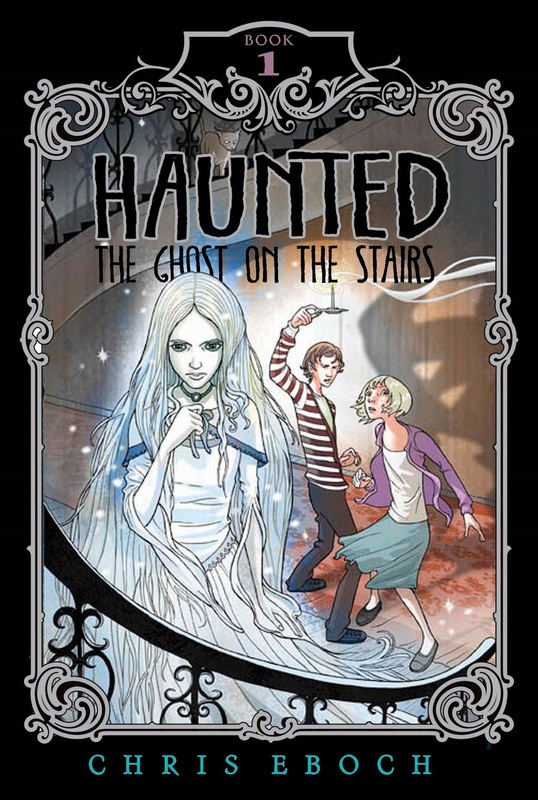 While you’re there, see her other guest posts on Alternate Publishing, including Joni Sensel on using POD to Finish a Series. Here’s the basic blog link. Be sure to poke around—Darcy has lots of useful info! 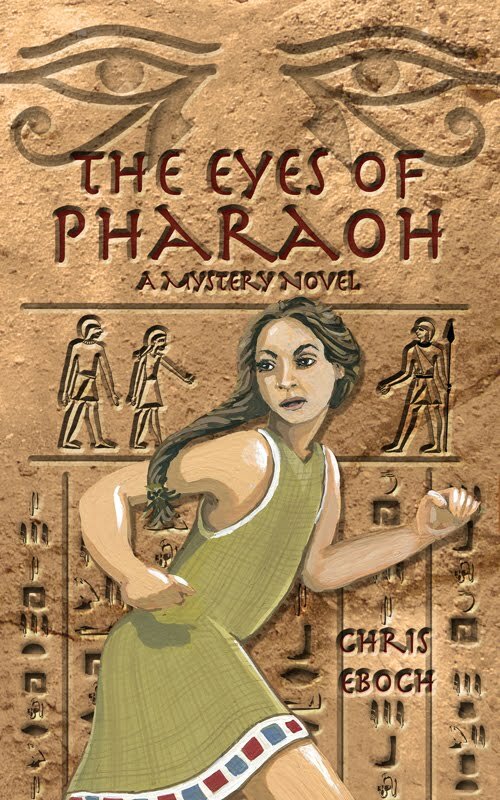 And an update—I’ve now sold 51 copies of The Eyes of Pharaoh so far in February. 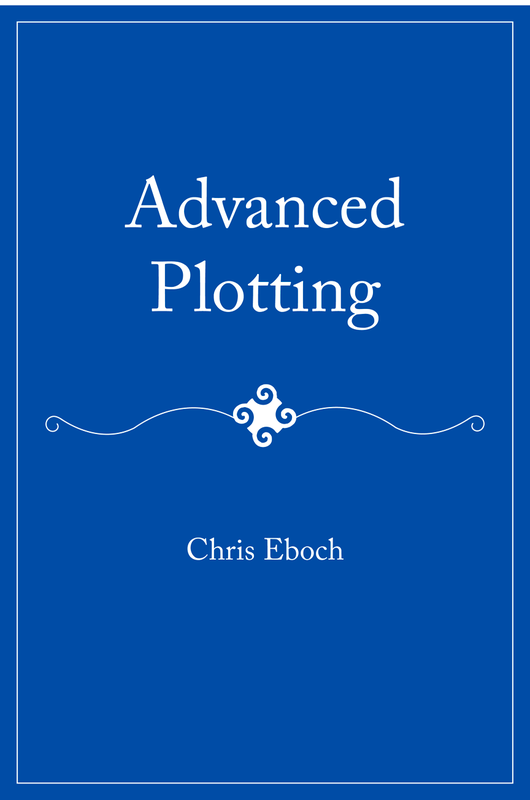 I’ve sold about 70 copies of Advanced Plotting so far, but since that book has a higher profit margin, I’ve made as much from Advanced Plotting as from The Eyes of Pharaoh. I’m not getting rich (yet! I can always hope!) but I made over $200 in direct deposits in this month's Amazon POD and e-book sales. Of course, part of that is from my mother’s new cozy mystery, Murder on the West Glacier Trail, which I set up on my account, but it shows that indie books can sell. If Kate Foland had known how her bed and breakfast guest would change her life, she might have left her at the airport. When Kate’s guest is shot to death while hiking in the Alaskan woods, Kate feels compelled to investigate. Sandra Allison seemed like a perfectly nice young woman. So who would want her dead? 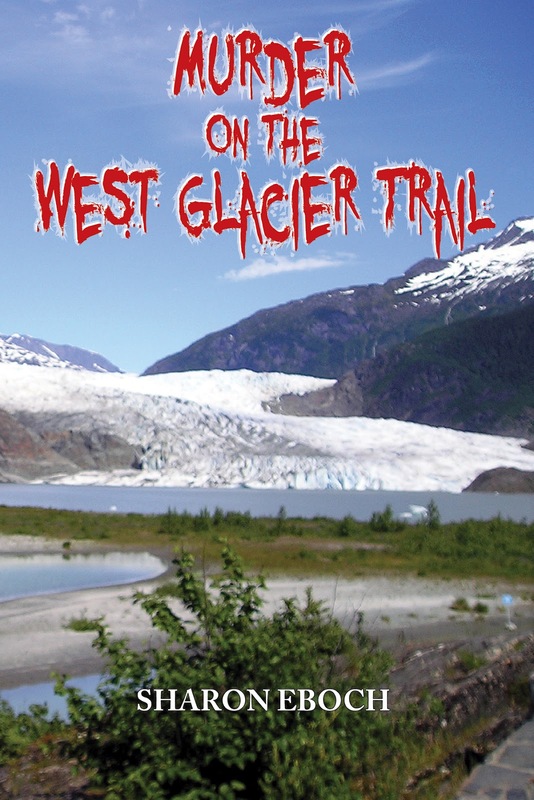 Murder on the West Glacier Trail is available in print or e-book, on Amazon or Barnes & Noble. Last week I talked about the importance of having multiple books available, if you are an indie author. This gives potential readers several “entry points” to your work, and can also mean every successful act of publicity leads to multiple sales to one customer. Having several books available also provides special publicity opportunities. I can also make use of publicity tactics such as a “loss leader” title. This means you offer one book at a deep discount, or even free. People are much more likely to try a free book. If they like it, they are more likely to pay several dollars for other books by that author. Many writers trying self-publishing offer their first book for free, trying to gain fans. But how much does it help you to have a new fan, if you don’t have anything else for them to buy? Will they remember you in six months or a year when you get another book out? Will they even recognize your name if Amazon recommends your next book? The whole point of a “loss leader” is to drive sales to your regularly-priced books. It’s pointless if you only have one title out. One note – many indie authors offer all their books for free hoping to build readership. Many readers have gotten burned by books that are mediocre or worse. Some readers now refuse to buy $.99 e-books and won’t even “waste their time” trying free books. However, if you have a normal price of $3-6 and offering that book for free for a limited time, you can bypass some of the stigma associated with free books. So that’s why I’m focusing first on getting two more books published. Once I have four on the market, I may take a few months off to do a major publicity push. That’s not to say I’m doing nothing now – of course I’m telling friends about my books, mentioning them in context on blog posts here or in guest blog posts, sharing news on Facebook, and so forth. But I can resist the pressure to spend dozens of hours a week just focused on publicity. Writing the next book is more important. "Hey, this book is available now!" This also gives me time to learn more about what seems to work and what doesn’t with publicity. I can explore some new social networks, test out a few things in small ways, and in general prepare now so I won’t be overwhelmed later. I can even tweak cover art, description blurbs, tag words and so forth to find the best combination for selling my work. And I don’t have to feel bad if I only sell 10 copies of a title in a month. 10 copies is a drop in the pool, and maybe the ripples will start reaching out now. In the meantime, I can focus on writing the next book. I’m doing a series of Wednesday posts discussing my career decisions and the reasons behind them. Last time I talked about committing to indie publishing. Now I’ll go into some specific details. Decision #4: Focus on writing four books. Save major publicity for later. With self-publishing, you don’t have that pressure for initial success. Sure, we’d all like our first book out to be a huge success. But you don’t have to worry about your sales numbers impressing the bean counters. In fact, there are good reasons to delay a major publicity push. Few people agree on what makes a self-published book a success, but the experts do seem to agree on one thing – for an author to find success through self-publishing, she needs to have multiple books available. This works in a couple of ways. First of all, with several books, you broaden your appeal. You have more ways for readers to find your work. 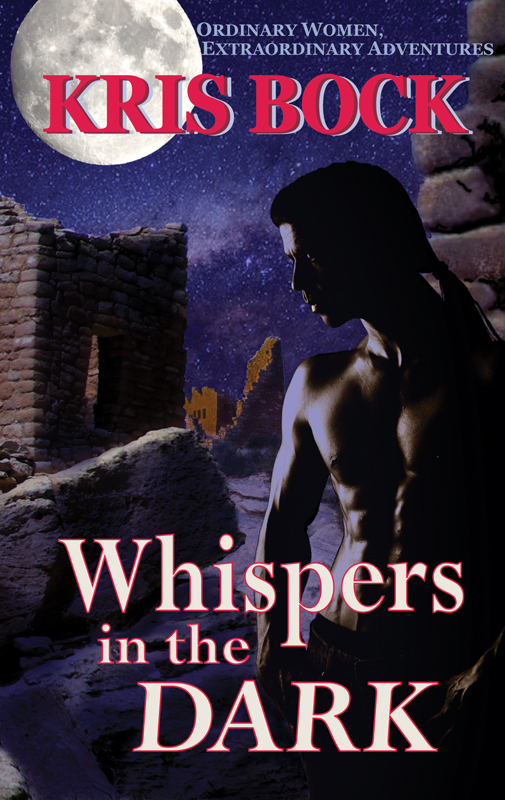 For example, with Rattled, I decided to experiment with a cover that suggested more of an adventure, rather than the traditional romantic suspense cover (quite often a couple of naked torsos embracing, with a dark blue wash). Rattled may attract readers who don’t normally go for romantic suspense, but it may not appeal to romantic suspense readers. 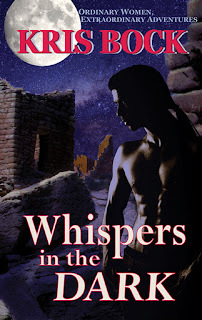 On the other hand, the Whispers in the Dark cover is much more standard for romantic suspense. If I can appeal to readers with one or the other, and they like that book, they are more likely to try the other one, regardless of cover. Your blurbs work in similar ways. 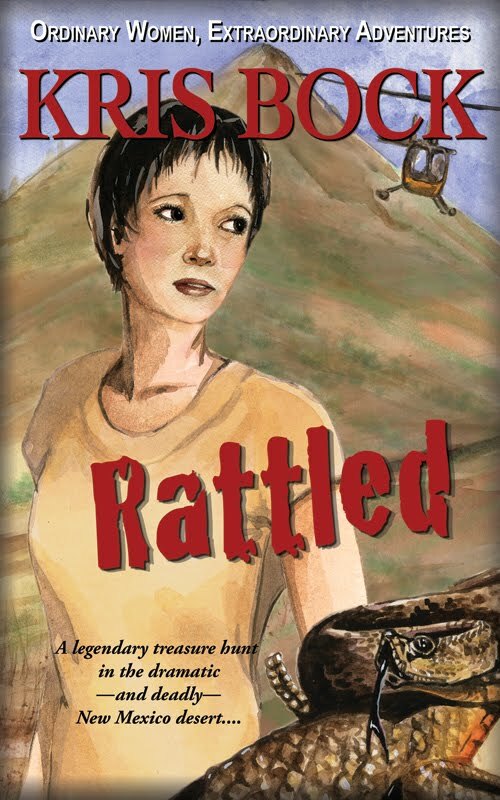 Rattled is a “treasure hunting adventure in New Mexico.” Whispers in the Dark is about “a young archaeologist who stumbles into danger as mysteries unfold among ancient Southwest ruins.” Both fit my tagline of “Ordinary Women, Extraordinary Adventures” and my Kris Bock “brand” of action in southwestern settings. But some people might find the idea of an archaeologist and ancient ruins more appealing, while others might think a treasure hunting adventure sounds fun. In short, the more books you have, the more “entry points” readers have for your work. But that’s not the only reason to focus on getting several books out before doing publicity. With multiple books, every act of publicity automatically has the potential for greater effect. If I sell one book, I might sell several others to that customer. If readers bought one, Amazon should tell them “You might also like” other Kris Bock books. How to Turn Your Idea into a Story: More Conflict! • Before you start, test the idea. Change the character’s age, gender, or looks. Change the point of view. Change the setting. Change the external conflict. Change the internal conflict. What happens? Choose the combination that has the most dramatic potential. For example, my work in progress started with two female cousins visiting. I changed one into a boy, and added a girl friend next door, which made for nice boy/girl tension behind the main plot. I’ve done two previous posts discussing some of my decisions for my career. First was committing to indie publishing for my adult genre fiction. Second was writing shorter books. The third decision is pretty simple, though my reasons may not be obvious. Decision #3: Use shorter paragraphs. I like to use a lot of short paragraphs anyway, as I think it can help the reader’s eyes move more quickly down the page, helping to give the impression that the story is moving quickly. Short paragraphs are ideal for action scenes and cliffhanger chapter endings. I’ve discussed this technique in previous posts such as Write Better with Powerful Paragraphing and Paragraphing for Cliffhangers and in the Advanced Plotting essay Hanging by the Fingernails. But of course you don’t want your work to be a string of one-sentence paragraphs. Sometimes it’s more appropriate, or just feels natural, to have a longer paragraph. This often happens with description or introspection. Adult books often use longer paragraphs, on average, than children’s books. Literary titles and fantasy may use longer paragraphs than thrillers. Shorter isn’t always “right” or better. What does that mean for a writer? Well, it means a paragraph that takes up a few lines on your manuscript might wind up taking an entire page on a small screen or where the user has set a large font size. In my personal experience, a paragraph that takes up an entire page is harder to read – it’s harder for your eyes to track back and forth from the end of one line to the beginning of the next line. This is true regardless of the size of the font (though it’s even worse with a small font and dozens of lines on the page). I noticed this after publishing Rattled. I went over the print on demand version carefully, making sure the text looked good on the printed page. I broke a few long paragraphs into shorter ones, because what looked right on an 81/2 x 11 manuscript printout seemed unwieldy in the 5 x 8 book. I got it looking pretty. But when I looked at the electronic version and tested different font sizes, the book suddenly seemed to have huge blocks of text. It almost seemed like I’d forgotten paragraphing existed in some places! I’ve noticed that in other authors’ books as well, and the larger blocks of text are harder to read. Not a lot, but just that little bit. We live in an increasingly digital world, so it’s worth considering how your books will read on electronic devices. On my blog posts, I try to keep my paragraphs to no more than four or five lines in a Word document, knowing that will become more on the narrower blog post. For my books, if I see a paragraph going more than five or six lines, I look for a natural place to break it. While this may not seem like a career decision, keeping up with technology and understanding how people read is part of a writer’s career. My goal is to have my work read, understood, and enjoyed. I think shorter paragraphs will help.